This pattern is a free download from Life is Cozy's Ravelry page. 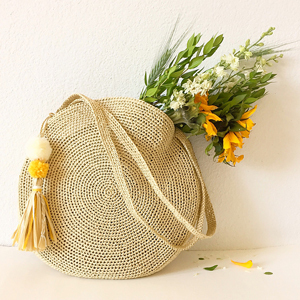 Taken from: Life is Cozy's Ravelry page "Sun City Bag" - Enjoy sunny days with a new stylish bag on your shoulder! A fun and easy crochet project, it is a pleasure both to make and to wear. The bag is of a comfortable size and has enough room for way more than just the necessities. 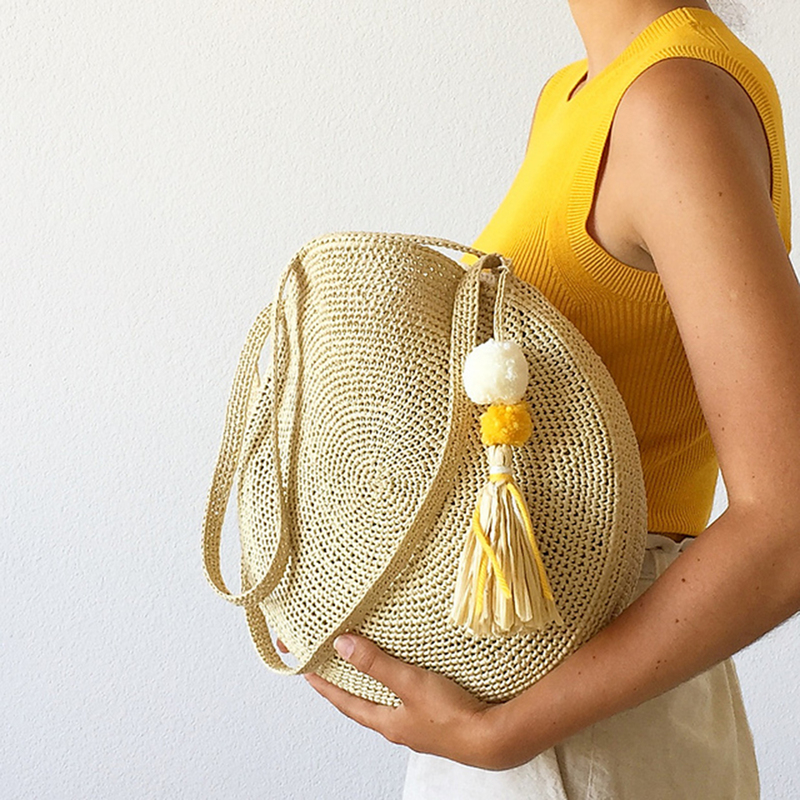 The complex tassel not only makes this gal look playful, but also can help to blend her more easily into your wardrobe - just choose the yarn colors that suit you more! 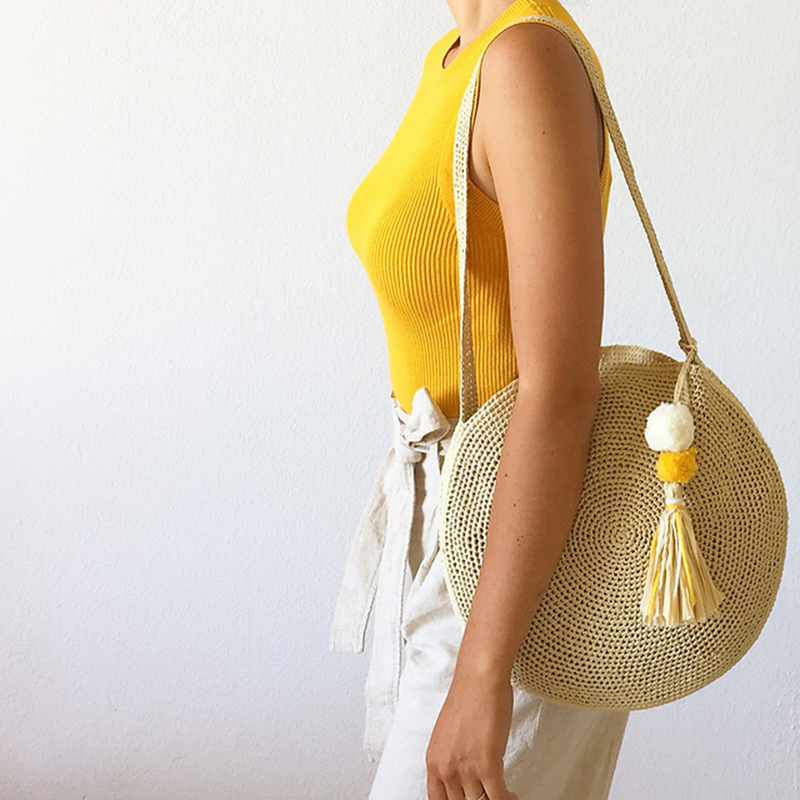 You can also make several different tassels and change them depending on the outfit, weather, or mood. Size US C/2 or D/3 (or the size needed to fit the gauge) are required but not included. $33.00 -- Kit price including yarn only (no book or pattern).